​With the 2019 January transfer period coming to a close, teams across all of the Premier League have been making decisions on who they can bring in to boost their season. From short loans to club-record fees, players are either returning to England are making their first debuts. ​The Barcelona outcast is hoping for a successful loan spell as he joins Arsenal until the end of the season. The Spaniard will reunite with Arsenal manager Unai Emery after they both were part of the 2014/15 Sevilla squad. Sporting a 79 overall in FIFA 19, Suarez has the attributes to slot right and make an impact for the squad. Playing along side Lucas Torreira will be a joy for players of the game as both have the creative skill and dribbling to break down most defensives. The former Atlanta United attacking midfielder has made the trip from MLS to join the Magpies. Newcastle United's manager Rafael Benítez put his job on the line if the club didn't make efforts to sign players in January, and this signing alone might make him stay. Signing a club record five-year deal, the 24-year-old is a beast in FIFA 19. There is not much the ​81-rated midfielder can't do, as last year's MLS season helped his resume. Flaunting a 90 acceleration with 89 sprint speed, the Paraguayan is ready to bring a massive influence in FIFA 19 for Newcastle United. There was a ton of buzz around Chelsea's newest signing as there were a few strikers that moved clubs including the Argentinian. The Blues​ have been lacking a commanding striker that can score goals every match day, something that has been missed since Diego Costa. 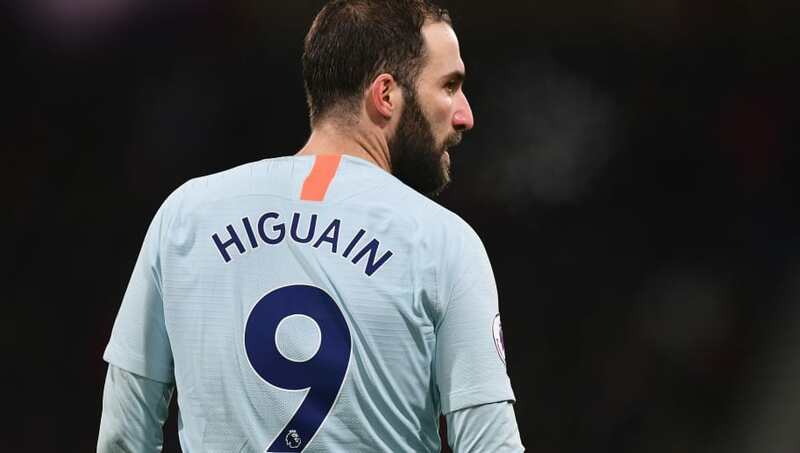 Higuaín to be the main man at Stamford Bridge. While there are already reports that manager Maurizio Sarri thinks he is out of shape, Higuaín is still a beast when it comes to FIFA 19. Having a ​88-overall, Gonzalo Higuaín is a perfect target man that is ready to score for your team. 92-positioning and finishing make him a magnet when it comes to putting the ball in the back of the net. Yet another Newcastle United signee makes the list in the form of left-back Antonio Barreca. The defender joins from Monaco on a season end loan, trying to help the Magpies stay up in the Premier League. The former Italy U21 international is a great asset to have in the back, especially in FIFA 19. Being a 75-rated back isn't the strongest, but his attributes are perfect for his position. With 84 sprint speed and 78 crossing, Barreca is just the player you need to fly down the wing to deliever great balls in the box.